Rev. 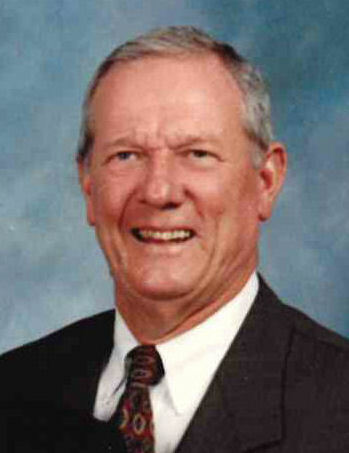 Douglas "Glenn" Cavin, 76, of Ringgold went home to be with the Lord on Sunday, March 17, 2019. He was born in Chattanooga on January 21, 1943 a son of the late Hancel Memphis and Willie Ruth Moore Cavin. Glenn was a well- known minister of the Gospel and pastored many churches throughout his ministry. He was preceded in death by his beloved wife of 56 years, Stella Bowling Cavin. Survivors are his loving daughters Anita Peters and Janice (LeVaughn) Morrow of Ringgold. Three grandchildren Jeremy Peters, Chloe and Justin (Heather) Morrow; three sisters, Aleen Cavin, Edna Frazier and Patricia (Alvin) Sartin; several nieces and nephews also survive. A graveside service will be 11AM Wednesday in Anderson Memorial Gardens with Rev. Dewey Boyd officiating. Honorary pallbearers are Carl Cox and Tommy Kindred. Visit www.heritagebattlefield.com to share words of comfort and view the memorial tribute. In lieu of flowers, memorial contributions may be made to Hospice of Chattanooga or Guidestone Mission Dignity. The family will receive friends from 4-8 p.m. Tuesday at Heritage Funeral Home and Crematory, Battlefield Parkway.